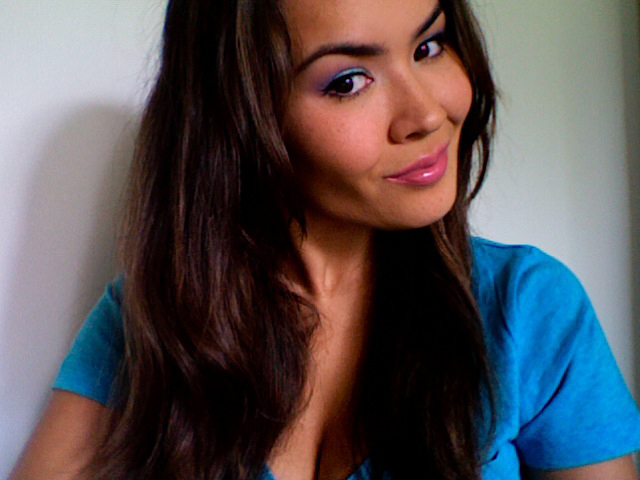 DAYTIME TEAL: Keep the eyeshadow below your crease and concentrate the color on the center of the lid. Play up the bright shadow with a more subdued one, like grape purple or forest green. 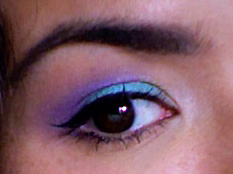 I like the purple and teal combo because the purple adds warmth while the teal keeps the look fresh and cool. 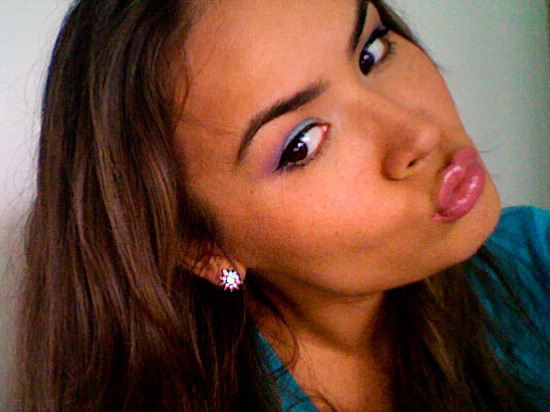 Finish the look with a neutral lip like a pale purplish pink gloss. GET THE LOOK: Start with a primer. I used NYX white base and applied it onto my lid with my finger. NIGHT TEAL: More is more. If you want the color to be noticeable, apply it generously :) I used an iridescent pearly highlighter to balance the bright all over color and played it down with clear gloss on the lippies. I essentially used the same color combo, but this time the teal is the focal point. GET THE LOOK: Start by priming your lids with a primer. I love both looks, especially the first one! Teal is SUCH a pretty color!! I love both looks and you look sooo pretty. I love the freckles on your face. Gorgeous looks! I love both, but I reaaly love the teal and purple look! The colors looks so great together. i love your make-up looks, wish i was abit more talented in the make-up department, haha! I love all of your looks. You, as usual, look absolutely stunning. You have the most perfect bone structure haha. OMG yes! I am so happy it's finally warm here in New York! Btw...you look so pretty! Love the makeup! The first look is amazing for spring! such beautiful makeup!! i love how the 1st one compliments your shirt color!! and the secnd one is so soft and pretty!! such a beautiful color on your eyes! it sparkles!! I love it!!! Happy Memorial Day! in love with both these looks! you are so pretty! that lip and eye combo in the first look is colorful and bold but not too in your face. I LOVE it! New lovely post on my blog: Vacation finally came!! !